I have lived in BC for 20 years. I chose to move to Victoria BC 8 years ago because of its beauty and the quality of life here, and I am an active user of Vancouver Island beaches and coastal areas. I’m very concerned about the increase in shipping traffic and risk of an oil spill that would be caused by this pipeline expansion; in particular, impacts to water quality, fish populations, marine mammals, migratory birds, and the sensitive Coastal Bluff ecosystems of Victoria. Trans Mountain has acknowledged in its application that the increase in tanker traffic would have significant sensory disturbance effects on resident killer whales—an endangered species whose critical habitat includes the area that would be affected by a spill. In my region, there are 1,147km of marine shoreline directly along the proposed shipping route, and over 1,200 species that could be impacted. A spill could have devastating effects on this region’s economy, and the movement of toxic compounds from bitumen through local foodwebs and ecosystems would put my community’s health at risk. It became very clear in April 2015, with the spill of bunker fuel from the MV Marathassa in English Bay, that the current capacity for response to even minor oil spills along BC’s coast is woefully inadequate. Marine spills can have both positive and negative effects on local and regional economies over the short- and long-term. Spill response and clean-up creates business and employment opportunities for affected communities, regions, and clean-up service providers, particularly in those communities where spill response equipment is, or would be, staged (Section 5.6.1.1). 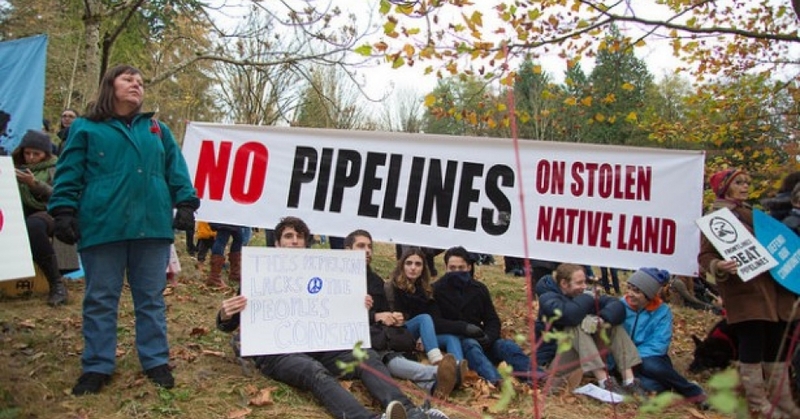 Given the City of Burnaby’s opposition to Kinder Morgan’s survey work and test drilling on Burnaby Mountain, it appears the community itself disagrees with Kinder Morgan’s analysis of what would be good for them. Kinder Morgan has already demonstrated how it will respond to the concerns of affected communities. It has used the courts to overrule this opposition, filing a $5.6 million SLAPP suit against Burnaby citizens for speaking out against it. We cannot expect this Texas-based multinational firm to care about the interests of communities. That’s why your job exists: to protect and serve the interests of Canadians. Instead, the NEB has shown itself to be acting in the interest of Kinder Morgan and unable to assess the public interest. It appears that, for all intents and purposes, the decision has already been made. If it is the Board’s position that this is untrue, perhaps you might review your own actions and decisions in the process thus far, and consider whether, as reasonable independent citizens, you would come to the same conclusion as myself and others. Since I am convinced that regardless of whether I continue to restrict my comments to the “12 approved issues,” it will not make a difference to the final decision, I will use this opportunity to bear witness to these concerns on the public record. There are many people who would be directly affected by this proposed pipeline expansion that were barred from having a chance to comment in the first place when their applications were rejected. Over 900 people and groups had their applications downgraded or rejected. Furthermore, the Board failed to provide adequate funding to facilitate the meaningful participation of parties that were approved. The Board should not have the power to decide in advance who is directly affected “enough” to listen to. There are implications for the lives of all who live directly in the path of the proposed pipeline and tanker route, and all those who will be affected by its broader long term consequences for the climate and the health of our environment and economy. In a legitimate public process, all people who wish to comment on any impacts they are concerned about should have the right to be included. If they are not included, then the Board is unable to properly fulfill its self-stated function of serving the public and determining what projects are truly in the public interest. The Board is also unable to provide a full and fair review because it has chosen to exclude the effects of the upstream and downstream activities of tar sands exploitation. The NEB does not consider that such effects, “including those of GHG emissions, are relevant.” This is ironic since the NEB considers upstream and downstream economic benefits to be relevant. I don’t have to be a climate expert to know these social and environmental effects are highly relevant to the proposed project and to my community. The Board should be ashamed at its ludicrous error in judgment on this matter—or, perhaps more accurately, its intentional disregard for legitimate concerns of the public. The people, not the Board, should have the power to decide what issues matter to this decision. Furthermore, the unexplained decision to allow Kinder Morgan to evade oral cross-examination serves Kinder Morgan’s interests. This is a critical part of oil pipeline hearings that is designed to increase the accountability of the Proponent in responding to important questions from the public. Canada’s Department of Justice has pointed out to the Board that “Canada’s position is that cross-examination is necessary to ensure a proper evidentiary record” and that evidence given without cross-examination should be rejected. The Province also took issue with Kinder Morgan’s redactions to its emergency response plan, which were made without sufficient justification. The Board responded by endorsing Kinder Morgan’s decision to keep these details secret. The Board has essentially said that it, and the public, do not need to know the full details of Trans Mountain’s emergency response plan in order for it to be approved. This represents a new level of hubris and arrogant disregard by the NEB for the role of a democratically-elected government in representing its citizens. It puts citizens at risk, and undermines the Board’s basic credibility in the eyes of the public. In accordance with its own responsibility and inherent jurisdiction and laws, which exist independently of, and predate the assertion of sovereignty by Canada, the Tsleil-Waututh First Nation conducted a thorough review of the project. Because the project fails the first lens test of their Stewardship Policy, the Nation does not consent to the project, will not grant Kinder Morgan the legal authority to proceed in its territory, and will “take all lawful means necessary to ensure that Tsleil-Waututh’s decision in relation to the TMEX Proposal is recognized, respected, and enforced.” An NEB decision in favour of the project would ignore the interests and authority of the First Peoples of this land. In the past 3 weeks, the NEB’s actions have only served to reinforce public perceptions that it serves the interests of Kinder Morgan, not the public. On July 31st, 2015, Steven Kelly was appointed as a full-time NEB board member. In 2013, Mr. Kelly authored and submitted the 203-page Kinder Morgan report to the NEB providing an economic justification for the pipeline expansion. The fact that Mr. Kelly will soon sit in a position of power in close proximity to those who will make the final ruling on this project is a major conflict of interest. Unfortunately it also seems to be par for the course for the NEB: the majority of NEB board members are now oil industry professionals. The NEB has also shown disregard for the process by making multiple last minute changes to the deadline for commenters, and finally setting the deadline to be just 6 days after it released its Draft Conditions. This does not give commenters sufficient time to thoroughly review and provide feedback on the conditions, and certainly does not give Kinder Morgan enough time to meaningfully review and respond to the hundreds of Commenter letters—a mere 48 hours. At least 35 Commenters and Intervenors have withdrawn from the process due to some of the same concerns I have mentioned. It is clear that the NEB has already lost its credibility in the eyes of the public. Under no circumstances should the Board approve Kinder Morgan’s Trans Mountain pipeline expansion, because it no longer has a social license to make a legitimate decision on this matter. It has failed in its key function of providing an independent, fair and thorough review. It has shown that it is completely inadequate to assess the health and safety risks of this proposed pipeline. This process is based on incomplete information and is not in the public interest. My participation in this process should not be considered as my endorsement of it. In order for the Board to effectively serve the Canadian public, we know they need to have confidence in the regulatory regime…We are here to serve the Public. We want to make certain that Canadians know they have a regulator they can rely on, because the Canadian Public interest is at the heart of everything we do. With all due respect, please do not forget who you really work for.